FYI…I depart Wednesday and arrive to Udaipur, India on March 3 – the eve of the spring festival of Holi which coincides with the harvesting season – a major event, their “Carnival”, which falls on March 13 this year. But festivities begin before. Traditionally, India follows the lunar calendar. Officially, it does not. On the 5th I and one of my hosts, Jyoti Pande drive to a place called Jasol. It is about 400 km from Udaipur. Jasol is a large pilgrimage centre. It is twinned with a busy industrial town called Balotra. Pande has arranged for me to hear and record devotional music in honour of the folk saint, Mallinath, who was a 14th century ruler of the place. The musicians are not professionals. Our host here is the living descendant of Mallinath whose ancestors were kind of feudal chiefs in Jasol. Our host is a retired civil servant who worked in the Customs and Excise Departments, Government of India. We return to Udaipur on the 7th – afternoon. From then on, the West Zone Cultural Centre Udaipur takes over and other arranged performances take place that have been secured by my other host, recording artist and sarod player Bhargav Mistry. I hope as time and the internet permits, to post ‘discoveries’, learning moments, video and pics of what promises to be an amazing adventure – one I will share with you in full upon my return. This excursion is linked to my research on world music and the increased understanding of those who are different (the stranger) humanity’s commonalities or ‘universalisms’ in music by cultures around the globe as a means of reducing human hatred. Map Of North India – Musical Learning Moments? “Music In North India”, a 2004 publication by Oxford University Press (a resource contributor to my research on world), is a well-written and informative book authored by George E. Ruckert, Senior Lecturer in Music at Massachusetts Institute of Technology. Just 100 pages in length with an accompanying CD compilation, the text is a ‘friendly’ read which I am primarily using in preparation for my upcoming excursion to North India in March of 2017. That’s not to say I don’t love richly informative and superbly researched volumes: The Garland Encyclopedias of World Music. It’s just that each volume is very heavy 10-12 lbs, and is best used atop my campus desk where I and each one can comfortably rest. The following is the publisher’s introduction to Music in North India, “one of several case-study volumes that can be used along with Thinking Musically, the core book in the Global Music Series. 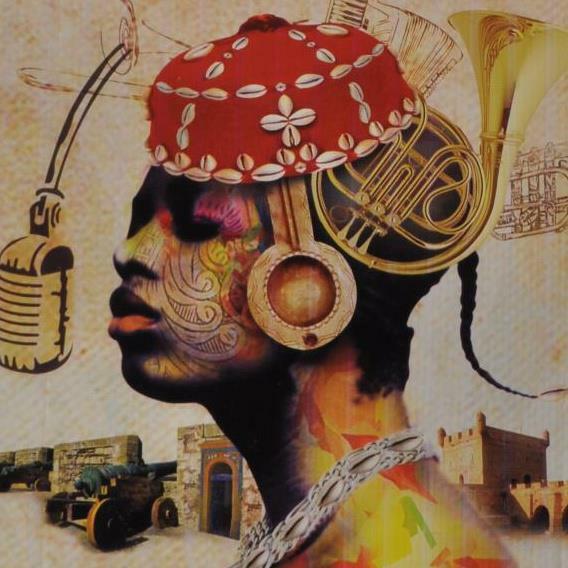 Thinking Musically incorporates music from many diverse cultures and establishes the framework for exploring the practice of music around the world. It sets the stage for an array of case-study volumes, each of which focuses on a single area of the world. Each case study uses the contemporary musical situation as a point of departure, covering historical information and traditions as they relate to the present. North India is home to a wealth of musical traditions composed of many different styles, genres, and practices. Music in North India provides a representative overview of this music, discussing rhythm and drumming traditions, song composition and performance styles, and melodic and rhythmic instruments. Drawing on his experience as a sarod player, vocalist, and music teacher, author George Ruckert incorporates numerous musical exercises to demonstrate important concepts. The book ranges from the chants of the ancient Vedas to modern devotional singing and from the serious and meditative rendering of raga to the concert-hall excitement of the modern sitar, sarod, and tabla.